In this day and age I am astonished at the number of companies that do not holistically assess the needs of all stakeholders at the beginning of the product development lifecycle. All too often, I find that the needs of service, manufacturing and even regulatory affairs are not elicited early enough, and as a result, these development teams accumulate a level of “technical debt” which is increasingly more costly to resolve as product development progresses. With over 80 percent of key product architectural and design decisions being made in the first 20 percent of the product realization process, the ability of development teams to incorporate late breaking, fundamental needs such as manufacturability or serviceability becomes increasingly more difficult. At some point, due to the lack of architectural elements to support these needs, they cannot be addressed without significant refactoring of the architecture. Additionally, even if the needs are identified, many organizations shy away from the difficult and somewhat “painful” process of prioritizing or aligning these needs. As previously discussed, systems engineering provides the architectural framework and glue among stakeholder needs and ensures a holistic and systematic approach for ensuring that these needs are accounted for throughout the product realization process. One of the more startling comments I hear too often from product development leadership is, “I have really good engineers. They just know what to do.” While it’s true that most engineering organizations have solid engineers, it’s also true that without a systems engineering framework and focus, these engineers typically do not have sufficient context or visibility to ensure design decisions and issue resolutions are aligned with the overall architectural intent. While for less complex products this lack of alignment can be overcome by sheer effort and determination, most of today’s medical systems demand a level of complexity and interconnectivity that cannot be organically addressed. A systematic and controlled means to integrate components incrementally, enabling issues and problems to be easily isolated and resolved. For companies not incorporating systems engineering, the impact of this void is real, painful and packs a significant wallop to the bottom line. For many of you reading this I believe that the issues raised resonate on some level with your own product development experiences; and may have resulted in slipped schedules, increased development costs, and/or delayed revenue recognition. So the final question remains, “How do organizations that recognize the criticality of this role effectively incorporate systems engineering?” In my final post, I will explore this question further and provide insight into the critical steps and key activities that can facilitate a relativity painless and successful organizational transformation. For more on this topic, check out the first two posts: Where Have all the Systems Engineers Gone? Part One: Overview, History and Myths and Part Two: Roles and Responsibilities. 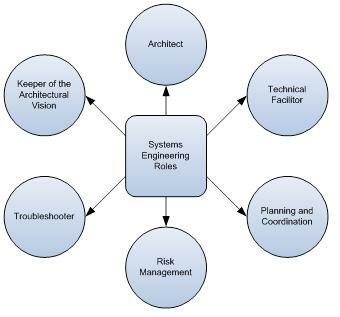 It’s not just about architecture; what are the critical systems engineering roles and responsibilities? 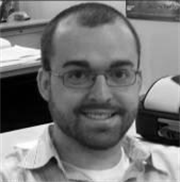 Christopher Miles serves as the Vice President of the Consulting Services group at Foliage. With more than 25 years of experience in the research, design, development and management of complex medical and biotechnology products, Miles has contributed to numerous U.S. patents, and directly collaborated on the commercialization of more than 20 new medical and biotechnology products. Foliage, Inc., a privately held company based in Burlington, Massachusetts was founded in 1991 to address the challenges faced by companies developing complex software intensive systems. The company provides clients with critical insight into their product development processes to help them develop and deliver the products their customers want, when they want them. With a full complement of services aligned to business and technology needs and applied over the entire product life cycle, Foliage ensures successful product development programs for companies. Foliage’s client range from multi-national Fortune 500 corporations to venture-backed start-ups in the medical and life sciences, aerospace and defense, and industrial equipment industries.